Ari Up’s death at the age of 48 was announced yesterday. I can’t write anything more incisive about her than Jon Savage so read this instead. 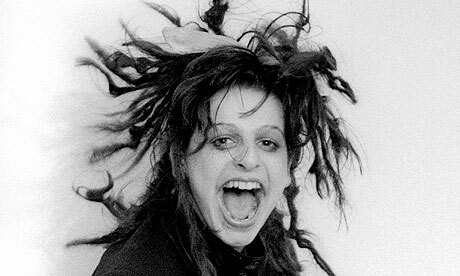 I’d just been getting into The Slits over the past couple of months, and was therefore probably more shocked by her death than most people. I’d known for a while that they’d mixed reggae with their punk, but I hadn’t previously been aware that they were, for want of a better word, awesome. Here’s their video for ‘Typical Girls’ – Ari was 17 when they released this. Personally I think that’s better than anything by The Clash, as controversial a statement as that may be. If you like this check out Instant Hit or their cover of I Heard It Through The Grapevine (one of my favourite cover versions of all time). i started getting into them about a year ago ahead of their gig in brighton which i ended up missing. they are indeed “awesome”. i agree about their cover of “heard it though the grapevine” too.